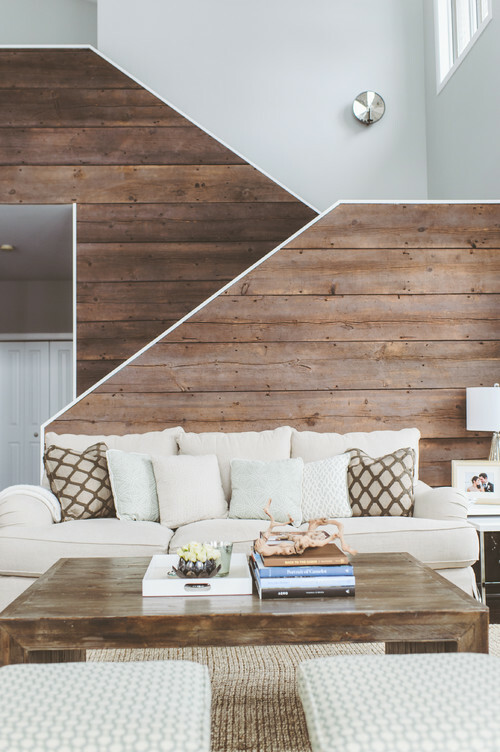 The Collected Interior: Inspiration - Reclaimed Wood! 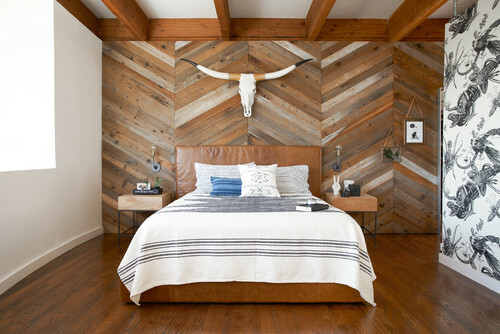 Today I'm sharing one of my favorite designer trends...simple and rustic reclaimed wood! 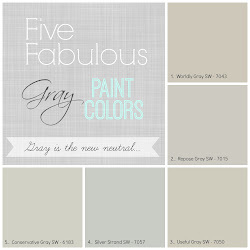 I love this look because warm wood tones balance so well with all the grays and grieges that are popular today. 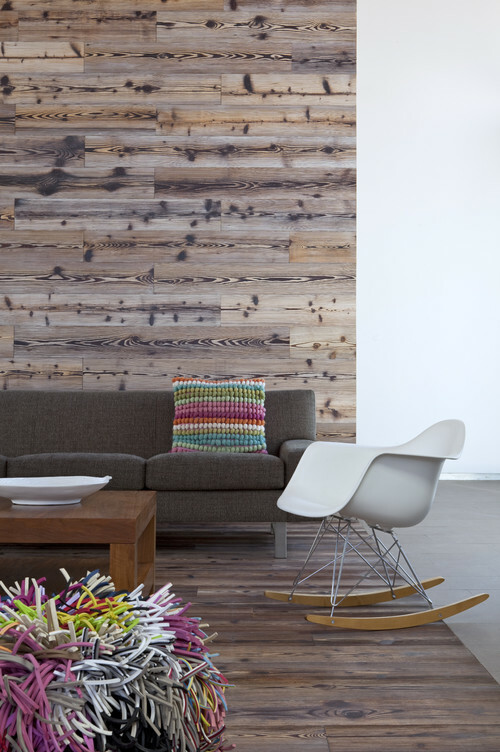 Reclaimed wood also pairs wonderfully with modern and minimalist designs, adding warmth and character to any space. So let's swoon shall we! 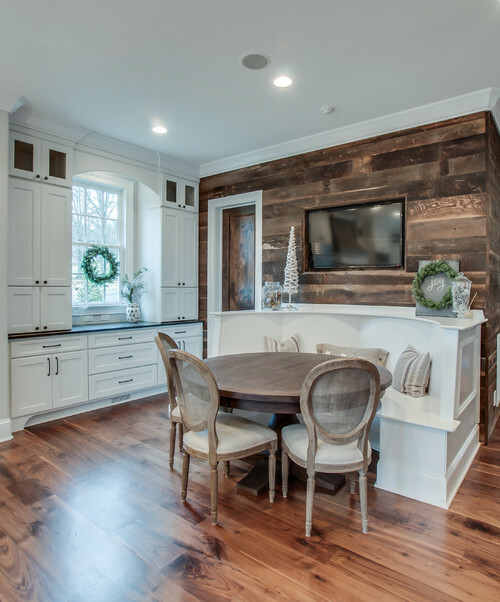 Here we have reclaimed wood planked fireplaces and accent walls. 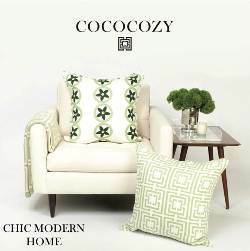 All images sourced from my favorite place for inspiration...Houzz! Ahhh, what a fabulous design element! 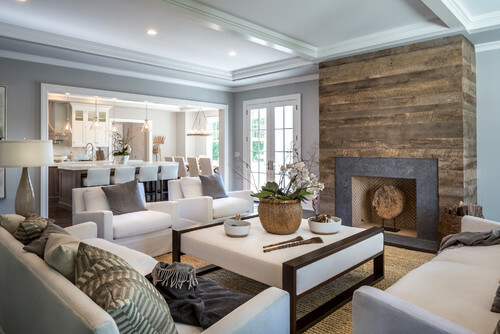 And affordable too when you consider just one wood wrapped fireplace or one wood planked wall offers loads of character and charm to any space big or small. 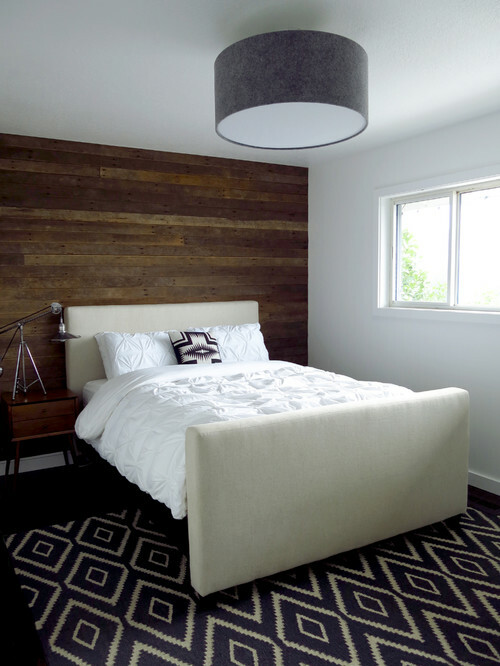 Okay if your home's design is falling flat, think about incorporating reclaimed wood. 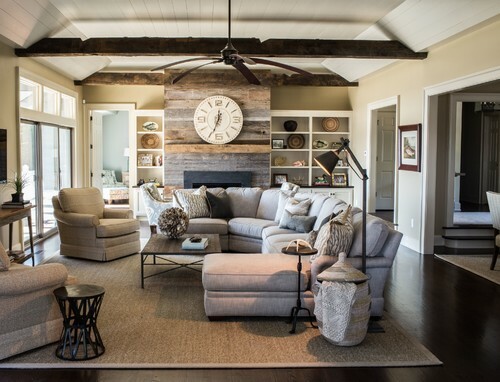 The look is both modern and rustic, but the design impact is huge! 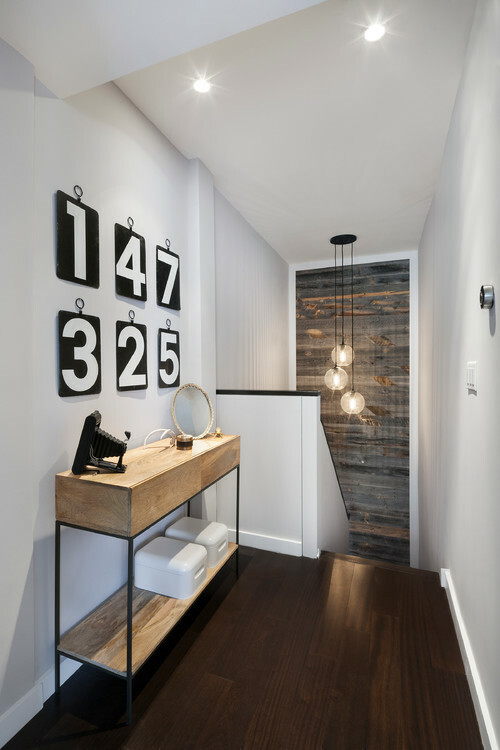 I love touches of reclaimed wood. 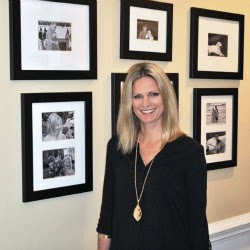 It really does add warmth to a space. 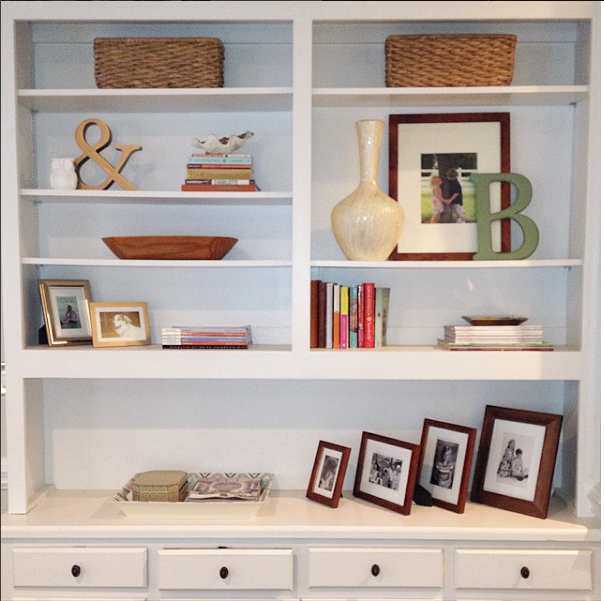 When we renovated our fireplace, we used an old piece of barn wood for the mantel. Then I found the perfect coffee table in Pottery Barn and I love how the two look together. 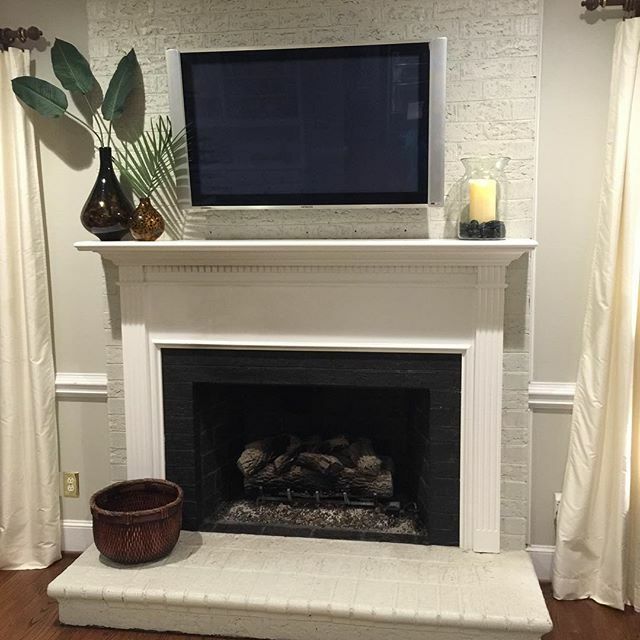 The fireplaces in the first two photos make the already gorgeous rooms even prettier!